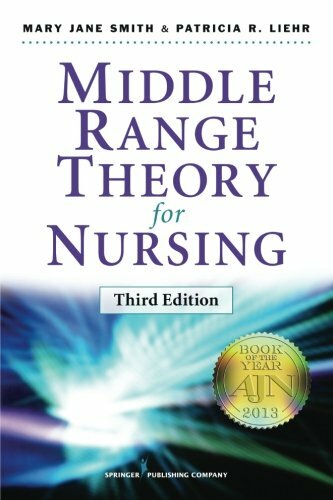 Middle range theory has become a vital staple of nursing education and application to research. These theories, which lie between the working hypotheses derived from day-to-day research and the larger, systemic efforts to develop unified theories, cover the scientific underpinnings that guide nursing practice and research. This third edition of a two-time AJN Book of the Year Award winner contains two new theories, including self-reliance theory and transitions theory. It revises and updates all other content, and provides ladders of abstraction for each theory to guide students in their appropriate use. This highly accessible book integrates nursing theory with well-defined practice areas, identifies purpose and basic concepts, foundational literature, relationships among concepts, and use in practice. Chapters are organized by central theories, each of which is covered in depth. Comprehensive bibliographies at the end of each chapter facilitate more in-depth research. The book remains an essential text for theory and research courses in master’s and doctoral nursing programs.